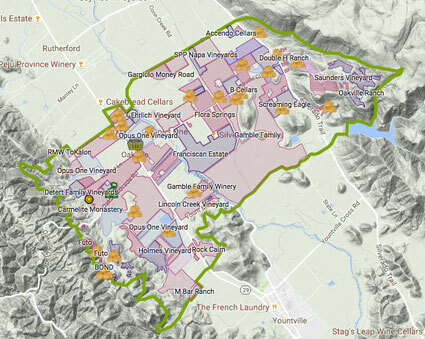 To view a detailed Google Earth map of Oakville Winegrowers member vineyards and wineries, click on the map image at left. 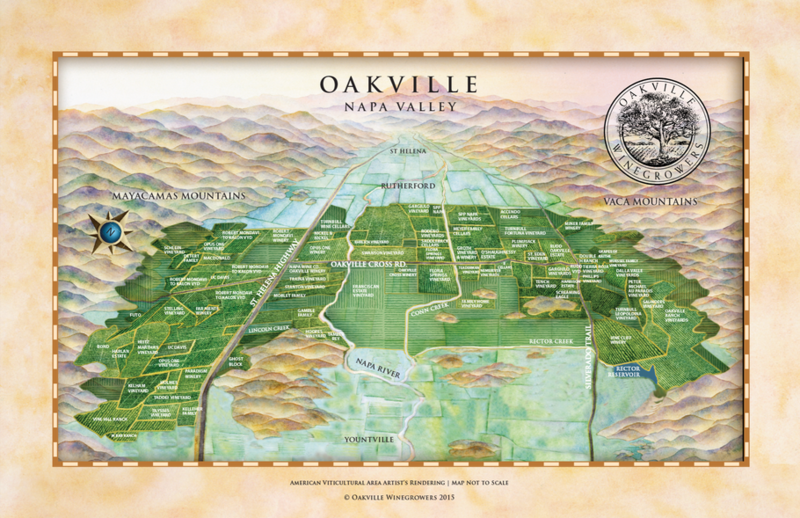 We are pleased to offer a poster size print of an artist's rendering of the Oakville AVA, identifying our member wineries and vineyards. the finished size is 18.5" by 28" and the poster will be shipped to you in a sturdy tube. To order, please click "add to cart" below. Allow 7-14 days for shipment. Full color poster size map of the Oakville AVA showing the member wineries and growers of the Oakville Winegrowers Association.